Flame broiled Dogs & Burgers 2 stores! Get the Name and Location by Selecting the Button to the Left "Want Name/Address." Flame Broiled Dogs & Burgers Concept!... and a Kiosk for one Low Price! At this price you can keep the concept in Place or change to your concept. Very well located in a Retail Shopping center with Major Anchor Tenant...Outside corner space with excellent visibility. Existing main location in place for 9 years and the brand for 15 years! This is a Local favorite. The owner has done an excellent job in creating a very scalable brand and the menu and products are top notch. Seats 32 indoor with 9-16 Outdoor Patio seating too! Plus seasonal Concession In Huge local 3,670 acre park...Busier areas of Park right next huge natural spring feed Pool with exclusive rights to food service. 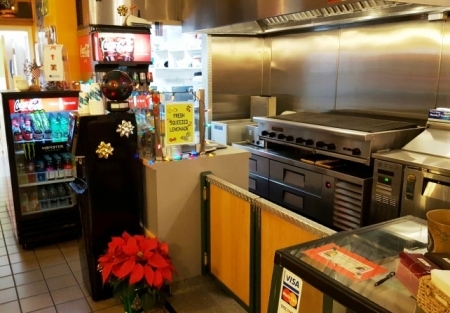 FF&E: There is a full Hood system along with char broilers, fryers, coolers and freezers, steam tables, pots pans/utensils/ all other wares to run business, Tables & Chairs, Built ins and more! Menu: Offers The owner has created his own distinct menu of Flame Broiled Hotdogs, Burgers, Sandwiches, Fries, Shakes and more.. all mouth watering specialties at affordable prices. Catering & Delivery in place...Web Site, Facebook/online ordering ...Facebook almost a 1000 likes. Lease: Main location #1: Good Rent at $2,550… All In for approx. 900 sqft., plus patio; Concession 15% of sales at 256 sqft. Currently not showing a profit ...but with an owner operator and focused energy this venue and location can make money! Make your offer Today ! Expires August 31st, 2019 plus 5 year option. Great City to live in Butte county! Great Reviews and Best of 7 years in row! Location and Kiosk at One Low Price!